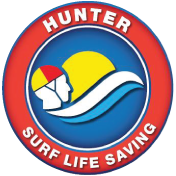 There is nothing more rewarding than training a new member in their Surf Rescue Certificate or their Bronze Medallion. Training is usually conducted twice a week for 8 weeks, either Tuesday or Wednesday evenings for theory, and Saturday or Sunday mornings for the practical. Both practical and theory sessions take approximately 2 hours each. If you have experience in education or training, or are keen to pass on your knowledge of lifesaving, enquire about joining your Club’s Education Team. Assessor sare responsible for assessing candidates once they have the skills and knowledge required, but cannot train and assess the same candidates. If you are interested in joining your Education Team, speak to your Chief Training Officer or Branch Director of Education about the current opportunities and local training needs. Progressing onto Assessing members for their awards is the icing on the cake. This graduation of members into fully qualified lifesavers is an honour.